Since writing about Yahoo Small Business and Aabaco hosting problems in 2015, I have been contacted THOUSANDS of times by very angry Aabaco users. These people are more pissed off than Hillary Clinton supporters and have more problems than my first girlfriend. Some of these users use WordPress. You get what you pay for in the world of hosting. 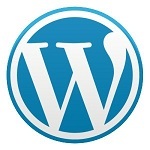 Here are, in my opinion, the best, most simple options for WordPress hosting. Did you have a problem with Aabaco WordPress hosting? Sound off below! We want to hear from you.